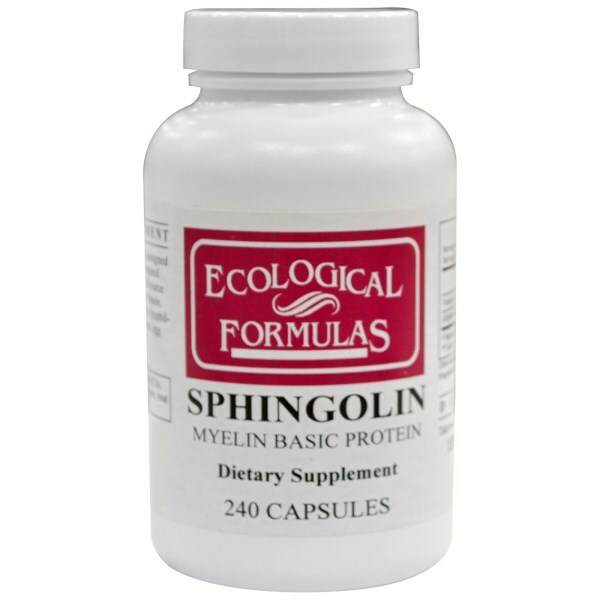 Sphingolin-MS is a scientifically-designed supplement containing a specially-prepared source of bovine myelin sheath, a rich source of naturally-occurring Myelin Basic Protein. The delicate enzymes are protected by lyophilization. Other Ingredients: Gelatin, microcrystalline cellulose, cellulose, magnesium stearate, silicon dioxide.